Technology continues to play a vital role in all aspects of our lives and daily business operations. The good news is that the plumbing industry has not been left out; we continue to see more and more innovative technologies in all areas of plumbing, from PEX pipe to waterless urinals. A second benefit to these leading innovations is environmentally friendly attributes, which are becoming more important for all of us as we continue to look for new and better ways to conserve energy, help clean up our environment and become better environmental stewards. Our patented pipe-lining technology by award-winning innovator AceDuraflo called ePIPE® technology is an ecologically conscious, long-lasting solution for fixing residential pipe leaks. 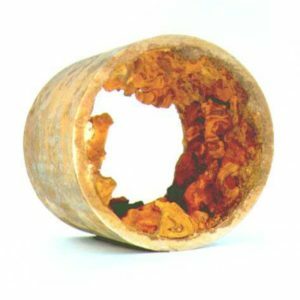 ePIPE® pipe leak pipe lining technology guarantees to change the way homeowners see repair options. Once introduced to this amazing process, you’ll emphatically agree that it’s smart. The promise is no smoke and mirrors, no hidden costs, results in less than 90 minutes (process cure time), and a finished product that lasts 70 years or more. Even better? There’s no systemic wall and ceiling demolition. The resulting pathway for your drinking water is a barrier to pathogens that come from pipe leaching such as lead. A partial or complete re-pipe option is very expensive because of the wall penetrations to replace the vertical pipes behind the walls to repair a pipe leak. This can involve complete tile replacement in bathrooms, removing kitchen cabinets and cutting out large areas of sheetrock. If the home is a two-story home, the ceiling will have to be cut out as well unless the horizontal pipes are located in the attic space. As you can already imagine, this involves major demolition and subsequent reconstruction costs and a lot of time and the inconvenience of not being able to stay in your home because of all the mess and dust created. The first three preliminary stages of the ePIPE® pipe leak repair process involve the equipment staging outside the house, laying floor protection covers in all designated work areas and floor space leading to those areas. Then we flow test and map the potable water piping system. The ACE DURAFLO® epoxy barrier coating seals any pinhole leaks present and protects the piping system from any future localized corrosion or pinhole leaks. Since every situation is different, TDT Plumbing provides a free estimate with no obligation to help the homeowner consider their options. In general, the In-Place-Pipe Restoration will be substantially less than a conventional total re-pipe. My plumbing system is too old; how can this process restore it to better than new? It has been TDT Plumbing’s experience that more often than not, the plumbing system can be restored to better than new condition. There are some cases where the plumbing system is badly deteriorated that the only solution is to do a complete re-pipe, but those cases are very rare. 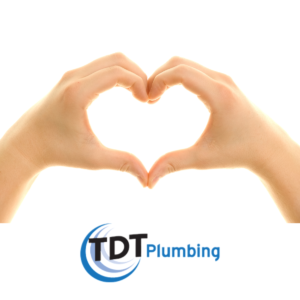 TDT Plumbing has a policy that has served us well; we will not take on an in-place pipe restoration project if we are not going to be successful and have a satisfied customer. The AceDuraflo epoxy resin is tested and certified yearly by the National Sanitation Foundation Standard 61 criteria which is the same testing and certification criteria that any plumbing component that comes in contact with potable (drinking) water goes through. The AceDuraFlo epoxy resin has been used in hospitals and schools; these institutions would never allow any product that posed any kind of health risk concern to be used. So the short answer is resounding yes, the ePIPE® epoxy resin is safe. Unfortunately, there is no simple answer to this question. Several factors contribute to pinhole leaks in galvanized steel pipe or copper pipe. 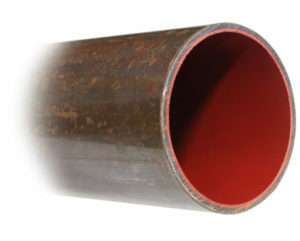 Metallic pipes are susceptible to localized corrosion, i.e. pinhole leaks, the minute water makes contact with the metallic surface of the pipe. Galvanized steel pipe when it is new has a protective zinc coating, hence galvanized pipe. After many years of service this protective coating wears away. Depending on the source or type of water (ground vs. surface, hot vs. cold, hard vs. soft, etc) will to a lesser or greater degree determine how soon pinhole leaks occur. We recently received an increase of calls from a Harris County subdivision that had gone from groundwater to surface water and residents were experiencing frequent pinhole leaks in their plumbing systems. Another factor that contributes to pinhole leaks is how the water is chemically treated, i.e. the amount or concentration of chlorination as well as other disinfectant by-products. The manufacturer of either galvanized steel pipe or copper pipe can make a difference in how long the pipe will last before experiencing pinhole leaks. After extensive research by various scientists, the general consensus is that many variables are in play in the formation of pinhole leaks. This includes everything from water temperature, water velocity, water treatment, pipe materials, water source, pH of the water and plumbing installation workmanship. Is the AceDuraFlo epoxy barrier coating process considered “green” plumbing or environmentally friendly? This is a concern that more and more people are paying attention to because they recognize a positive impact on our environment can be made by doing some simple things, like recycling. The term sustainability is heard more often than ever before and concern for energy resources, in general, seems to be more prevalent. The good news is that the ACE DURAFLO epoxy barrier coating process is a “green” plumbing technology. It allows for the sustainable use of the existing plumbing infrastructure. Walls and ceilings are not ripped up, hence there is no disposal of drywall or tile waste into a landfill and there is no dust created that escapes into the air around us. The AceDuraFlo’s ePIPE® epoxy coating process effectively extends the life cycle of the home’s plumbing system. What is the warranty or life expectancy of this product? The AceDuraFlo epoxy resin has a limited 25-year transferrable warranty (residential) and a limited 10-year warranty on commercial and multi-unit restorations. Accelerated testing performed on coated pipe demonstrated a life expectancy of between 75 to 100 years! Call TDT Plumbing and make an appointment for your free assessment consultation (713) 697-2088. Click to Watch Video Demonstration of ePIPE® in Action!